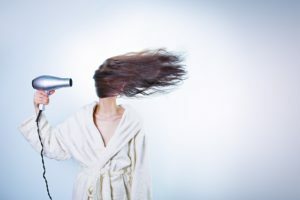 Deep Conditioning Treatments For Summer! We here at Charisma Salon and Day Spa are gearing up for summer and so are all our clients! Also, summer month’s mean lighter hair and many of our clients have already been coming in to get their hair lightened and are going blond. That’s why in preparation for the dry summer months we are running specials on all our Wella deep conditioning treatments. These treatments help repair color damaged and lackluster hair. These conditioning treatments are great for any color damaged hair, curly or frizzy hair, and hair that needs a healthy glow to it. We highly recommend getting a deep conditioning treatment in combination with a color treatment. You will be able to see the difference a single conditioning treatment can make on your hair, we promise! Brilliance – (Color Protection) Perfect for the summer month color change. 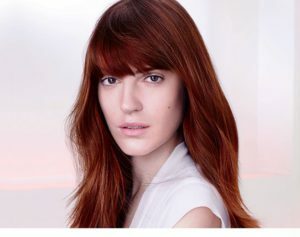 This deep conditioning treatment will help your new color stay in place longer while giving your hair a radiant shine. Enrich – (Dry Hair Repair) If you need your dry dull hair to get a breath of fresh air, we highly recommend an Enrich conditioning treatment. Your hair will feel strong, healthy, and hydrated! Perfect for hair that’s been damaged by the sun or chemicals in your pool! LuxeOil– Keratin treatment that will help give your hair a natural luminescence shine. 3x the keratin protection that gives your hair a lightweight smooth feeling. Oil Reflections – Perfect for frizzy unruly hair. This treatment will help keep your hair frizz free for up to 72 hours. For more information see another blog we wrote about the Oil reflections treatment. So if you have big plans this summer for fun in the pool or are going to be lightening your hair come see us. We’ll give you the best deep conditioning treatment for your hair. Book your appointment today!